In case you weren't aware, TopGear is regarded as the most watched informational show on television. It's about something that I never realized I'd care that much about: cars. Due to the recent replacement of the hosts and their upcoming travel show on Amazon, I thought it due time that I pay homage to the TopGear that was (2002-2015). It surely took a trio of irreverent, semi-geriatric British men and the ability to binge watch on Netflix, but there's a part of me that would now love to work in a garage. Perhaps after a few episodes you will too. Notable Races: Clarkson was one of the original TopGear presenters in the series' first run. Known for his often brash sense of humor and vast general knowledge. Was dubbed "Worst Dressed Man" by the hosts of BBC's What Not to Wear. Notable Races: Known as Captain Slow, he first hosted TopGear in 1999 then joined on in the second series (2003) after the show's revival. Wears quite wonderful patterned button-downs. Me too Hammond, me too. Notable Races: Hammond began presenting TopGear in 2002 and has presented a number of other programs such as Planet Earth. He plays the bass guitar and rather dislikes the band Genesis. He is my favorite host. Vehicles are put through trial by fire (or snow, in this instance) to test which is truly the best of each similar model during a challenge such as the above. Instead of simple track races and tests in the garage, cars, trucks, and any number of other vehicles are tested on terrain, souped up however each host would wish, and then tested again. I've honestly learned more about the features one truly wants in a car from TopGear than anywhere else. This proves that anything goes down best with a good sense of humor. Although any episode of TopGear that you'd put on would be entertaining, the best are indeed the travel specials--which is one of the reasons I'm glad that The Grand Tour (Clarkson, May, and Hammond's new show) was picked up by Amazon for release this year. By the end of these episodes nearly every vehicle driven by the trio is in pieces. Their goal is to complete a challenge and do so while gliding across whatever part of the world they're in while driving a less-than-ideal vehicle. I'd have to say that one of my favorites is the Burma special, due to the fact that the giant trucks they drove were so hilariously customized and so comically oversized for their environment. The end goal was to build a bridge across the river Kwai. While still comical, the hosts still payed homage to the horrific events of World War II that occurred in the same manner as their challenge. In most cases, what some Americans would consider offensive is prime British comedy material. TopGear's sense of humor rides this line in a way that hops the pond well. 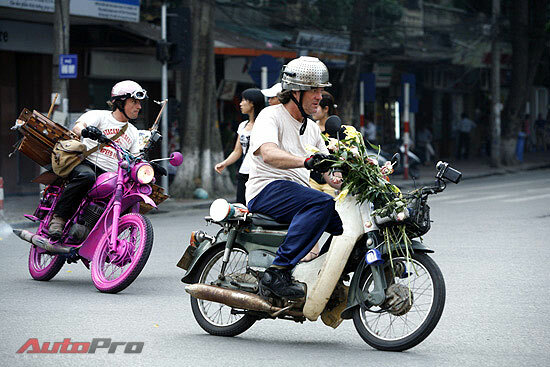 Clarkson on the aforementioned Burma adventure feat. Rudyard the bear. Ed Sheeran and The Stig for "Star in a Reasonably Priced Car"
A favorite segment of many TopGear fans titled "Star in a Reasonably Priced Car" features just that: celebrities driving average Joe cars. The above is a photo taken before (or after for that matter) Ed Sheeran's first time driving a car. The man beside him, The Stig, is referred to as "TopGear's tame racing driver". In Ed's case, he accompanied the lap due to the circumstances. The Stig typically puts vehicles to the test nearly as much as the show's hosts. Sadly, he is the only member of the team not able to make the jump to Amazon due to copyright issues. 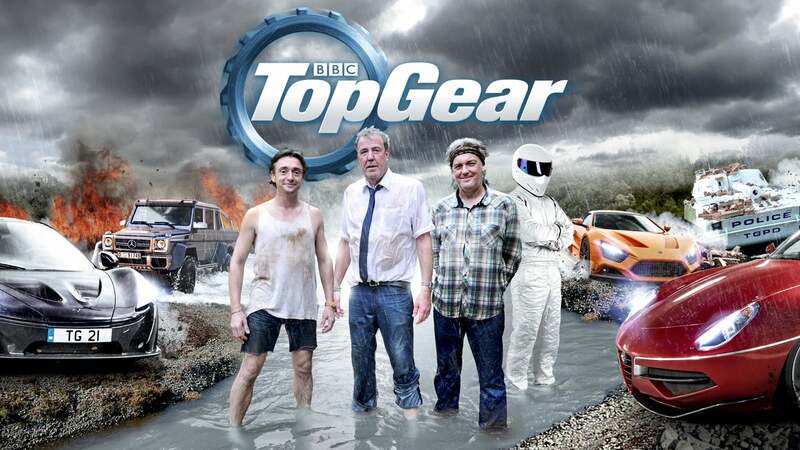 What is your favorite episode of TopGear? If you can't think of one, what's the most angry you've ever been about the entire cast of a TV show changing?